• What days are you open and what are your hours of operation? Higher Self Massage & Healing is open Monday through Sunday, from 8:00 a.m. to 9:00 p.m., by appointment only. • How do I schedule a massage or healing session? To schedule a massage or healing session, call or text Christine at 727-410-6719. If she is with a client and unable to answer, you can leave a message letting her know what days and times you prefer and she will return your call or text as soon as possible. • What are Christine’s qualifications? Christine is a Licensed Massage Therapist and a Certified Brennan Healing Science Practitioner. She also has her Level II Certification in Reiki and has shamanic training. • How much are the sessions and what form of payment is accepted? One hour massages are $85. 90 minute massages are $125. Two hour massages are $170. Packages of 6 one-hour massages bring the price per massage down to $80/hour, for a total of $480, or $120 for six 90-minute massages, for a total of $720. Energy Healing sessions are $120. 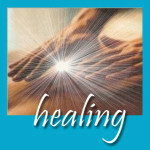 Packages of 6 bring price per Energy Healing session down to $115/session, for a total of $690. Combination packages of 6 are also available with one-hour massage sessions at $80 and Energy Healing sessions at $115 (for example, a client could purchase a package of 6 sessions, 3 of which are massage and 3 of which are Energy Healing, which would be $585). One hour, 90 minute, or two hour sessions are available. • What kind of massage is available? Each massage is tailored to each particular client and that client’s needs and preferences. Deep tissue, relaxation, therapeutic, sports massage, and massage with aromatherapy are available. Christine uses Swedish massage as her base technique, and incorporates various other modalities, such as cranial sacral, trigger point, myofascial work, sports massage, shiatsu and energy work into her massages depending on the client’s needs and preferences. • What kind of lotion is used? Only organic massage lotion is used. This is a light lotion which absorbs easily into the skin and does not leave a greasy residue. • What is your draping policy? Clients are draped with a sheet while receiving massage at Higher Self Massage & Healing. Clients disrobe to their comfort level in the privacy of the massage studio while the therapist waits outside and the therapist does not enter until the client is underneath the sheet on the table and notifies the therapist that it is okay to enter. Clients’ privacy is always respected. 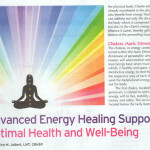 • What is Energy Healing? • What are the sessions like? Each session is approximately one hour long. During a brief intake, Christine assesses the client’s field and determines the type of healing which will best address the client’s specific needs and any issues arising in the field. 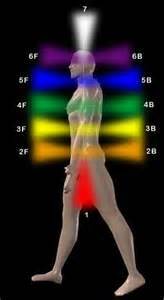 The client lies on the massage table, fully clothed, and Christine places her hands on the client in various positions to balance, clear, and charge the client’s energy field, support alignment with the client’s life task and soul longing, and helps remove blockages to embodying Divine Essence. Guidance may also be channeled through to the client during the healing. Clients typically experience deep relaxation during an energy healing session, sometimes experience a release of emotion and/or energetic blocks, and often experience going to a very deep and peaceful place. Each session, however, is unique as are each client’s experiences during a healing session. For more information on clients’ experiences, see the Testimonial Page by clicking on the “About” tab above. • What are some examples of issues Energy Healing sessions can address? * Note, if a client has a diagnosed mental or physical illness, it is recommended that he or she be in the care of a medical professional while he or she is an Energy Healing Client at Higher Self Massage & Healing. • Do Energy Healing sessions have to be done in person, or can they also be done long distance, and if so, how does that work? Energy Healing sessions can also be done long distance, meaning the client does not have to physically be in the same room with the healer. Clients can receive Energy Healing sessions whether they are 10 miles away or 10,000 miles away from the healer. This is because the Energy Healing is not limited to or restricted by time and space. Rather, the work takes place in dimensions not governed by these limitations. Long distance energy healing sessions are just as effective as hands-on sessions where the client is in the same physical space as the healer. Clients receiving long distance healings can frequently feel in their body where the Energy Healer is working while she is working there. In some cases, clients prefer long distance Energy Healings because they can receive them in the comfort of their own home, they do not have to travel to and from the healer’s office, and they have as much time as they want after the healing to rest, relax, and allow the Energy Healing work to integrate.